San Jacinto is a gorgeous city located in southern California that is rich in history. From museums to walking trails and fine-dining restaurants, there is plenty to do in this growing city. While you’re out learning about the culture of the natives in the area, there definitely isn’t time on the agenda to feel terrible with a toothache. Don’t worry about having to search for a dentist when you’re in San Jacinto, CA. 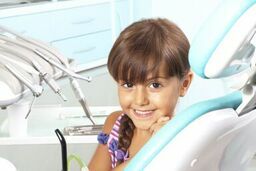 Emergencydentistsusa.com has made it quick and easy to find a dentist that can meet your needs. We provide a detailed list of dentists that are available in the area. You can view the types of payment methods that they accept, the hours that they are available, and some of the services that they offer all with the click of your mouse button. If you’re unable to get online, simply call our toll free dentist finder hotline. One of hour dentist finder specialists will be glad to assist you in finding a dentist that suits your needs. Once you’ve selected one, we can set up your first appointment and provide you with directions to the office. When you go to your first appointment, be sure to bring a valid ID, a copy of your insurance card, any money due at the time of service, and a list of all your current medications. When you experience an emergency in San Jacinto, CA, you don’t have to search for a dentist that will see you. We provide you with a list of available dentists in an around the area. Most patients will visit a general dentist for a dental emergency. The general dentist will likely be able to treat the issue, but if not, they can also refer the patient to a specialist if it is needed. Description: California Bright Dental is ready to provide you with the dazzling smile that you’ve always dreamed of. They provide general and cosmetic dentistry while using the latest techniques to ensure that you have the best smile possible. Each patient gets individualized attention and a treatment plan that will work best for them. Description: San Jacinto Smiles offers their patients a variety of dental services all under one roof. We an oral surgeon on staff, they are able to complete almost all dental work without the need to refer you to another dentist. They are even able to accept emergency dental appointments should you need one. Description: Esplanade Dental group is happy to offer your entire family excellent dental health. From general dentistry to orthodontics, they have all the tools to provide you with a healthy and beautiful smile. A warm and friendly staff make them an excellent choice if you’re looking for a new dentist. Whenever your tooth has been hurting for longer than 1 to 2 hours, it is time to go to an emergency dentist to see what is going on. If you’ve experienced trauma to that area, first have a regular doctor check it out and make sure you haven’t broken any bones. If you haven’t experienced trauma, it could be that you have an infection and it has reached the tender part of your tooth. If you don’t have that treated right away, it can affect the teeth and gums that surround it, which would cause even more damage. Whenever you’ve visiting a new doctor for the first time, make sure you check their credentials to ensure their education is up to date. You can do this by entering the dentist’s name on the California Dental Association website. You can also wait to check when you go to your appointment. The receptionist should be able to show you the doctor’s credentials.